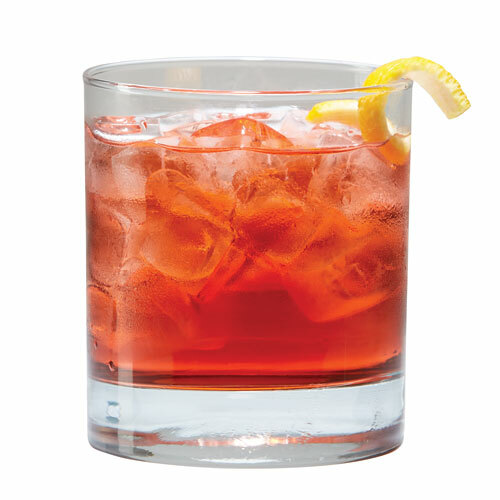 Monsieur can mix up to 260 different cocktails, each in 30 seconds or less. Thanks to a team of engineering and finance grads from Georgia Tech, cocktail culture has a new on-demand button. Meet Monsieur, an artificially intelligent robot that can shake up cocktails from scratch in just a few seconds. If you can use a microwave, you can figure out Monsieur. Calling to mind a 21st-century jukebox for grown-ups, it comes in two sizes: tabletop and the hefty kiosk, which includes a small side table that houses cups, an ice tray, and garnishes like lime wheels and fresh blackberries. 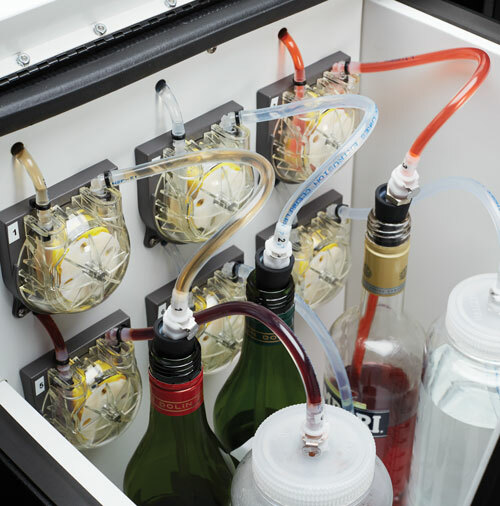 Stored in the bot’s top portion and hidden from view are eight bottles of spirits and mixers (no premixed concoctions). 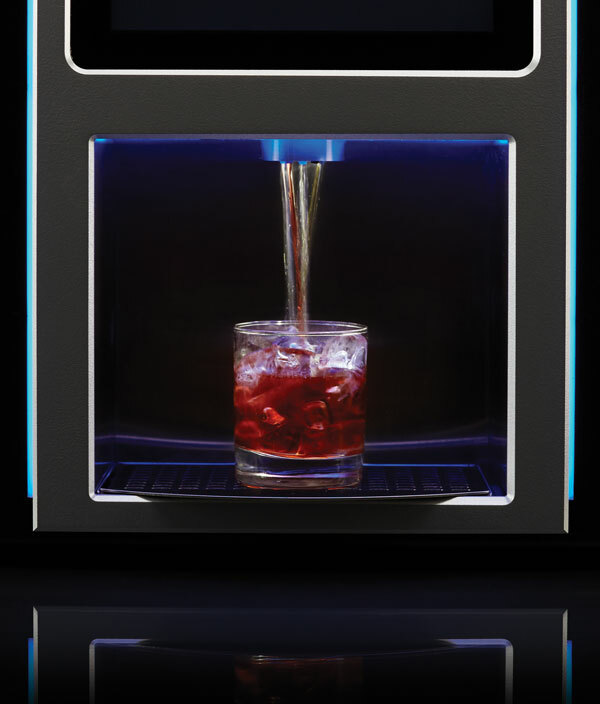 Preloaded recipes, photos, and a list of ingredients on tap are displayed on a simple touchscreen interface, and drinks are dispensed below. Pick your poison; set a cup filled with ice on the platform; and in 30 seconds or less, you’ve got a punchy, aromatic refreshment. No gratuity required. Users can choose from 20 themes, each loaded with anywhere from 15 to 25 drink options (some of which are nonalcoholic), for a total of about 260 recipes. 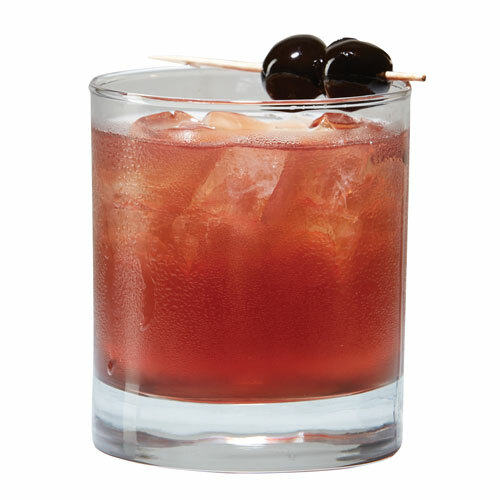 “Speakeasy,” for example, features classics like the Old Fashioned, the Manhattan, and the Boulevardier. Monsieur, which is powered by Android, even offers a subscription service to commercial clients who want to review analytics about peak usage, exact amounts dispensed, and user data in real time. Monsieur is manufactured in Lithonia and Lawrenceville. Cofounder and CEO Barry Givens first got the idea for Monsieur while watching the NBA Finals in 2008 at a local bar with some friends. The group placed their drink orders—then didn’t get them until halftime. Givens, a mechanical engineer, wondered why the server couldn’t simply push a button for his drink, just as quickly as she could refill a Coke. Within a couple of months, he had built a prototype, rigging together a plywood box from Home Depot and a tablet affixed with tape. In 2013 Monsieur launched at TechCrunch Disrupt in Silicon Valley, where their presentation caught the right people’s attention. They’ve been funded ever since. One thing this bartender-in-a-box isn’t meant to do is replace the folks who shake and stir their way into our hearts. “You can’t totally substitute human interaction,” says Tech alum Alec Delany, Monsieur’s sales engineer and resident bartender. “That’s why we don’t offer a Sazerac,” he adds, referencing the highly personalized drink that requires rinsing a glass in absinthe. Instead, the team has its sights set on high-volume businesses like luxury suites at sports arenas, hotels, or airline sky clubs—places where consistency and speed are key and where stocking a full bar and hiring a bartender might be cost-prohibitive or impractical due to space constraints. Monsieur has partnered with Levy Restaurants, the Chicago-based concessions vendor for sports and large-scale entertainment venues nationwide, including Philips Arena (where Monsieur tested during the Hawks playoffs); Arlington Park; and the venerated Churchill Downs, where Monsieur can be found in the owners’ suites. Monsieur isn’t the only cocktail machine on the market, but it is the only one from Georgia. About 100 commercial and private-use customers currently enjoy Monsieur; at $4,000 retail for the tabletop and $10,000 for the kiosk, it’s unlikely to become a household staple anytime soon. But the team isn’t worried about growth. Order requests are flowing in from Bangladesh to Japan to the United Arab Emirates, and so far the demand far exceeds the supply. The staff is currently busy working on what will be the bot’s 10th iteration. And sometimes, at the end of a long day, Monsieur fixes them a drink. This dry Italian treasure is usually served straight up. Still, given the ice, the recipe is extra boozy. 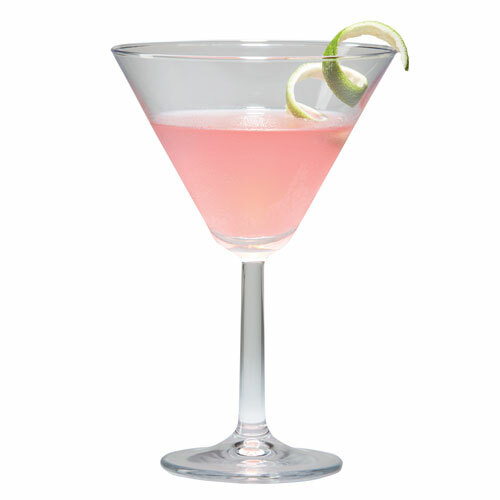 Refreshing and bright, this goes down easy—and is sure to shine in a venue overrun with Budweiser. Not a fan of vodka? This twist on a classic will make you wonder if you’ve been missing out. Opinions vary on the perfect recipe, but this one will satisfy those who prefer theirs extra dry.